Skill is obviously part of the deal when catching crabs (carefully pulling up the line trying not to bash the crabs against the wall so they fall off) but bait is important too. Bacon is the easy option, but we have a sneaky tip to beat the others – pop into the Butchers and ask for some scraps. Or for the crème de la crème in bait – a smelly mackerel head! 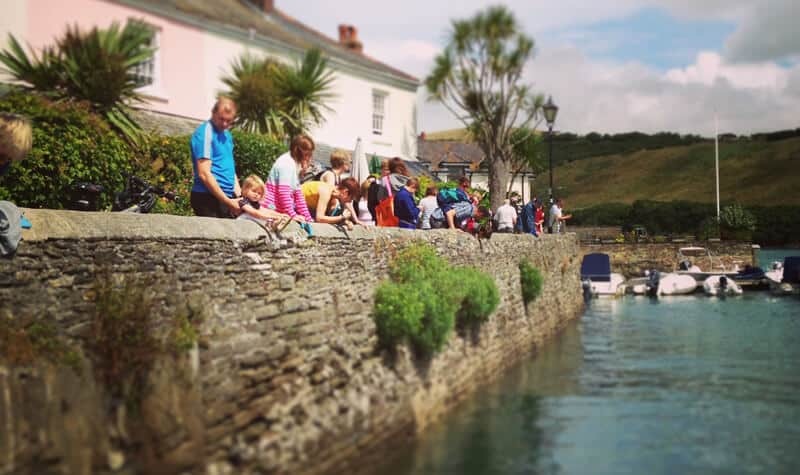 As part of our Salcombe Luxe service, we give all children under 10 years old a brand new crabbing line, bucket, spade and some bacon in the fridge so that they are ready to hit the crabbing hard on arrival. 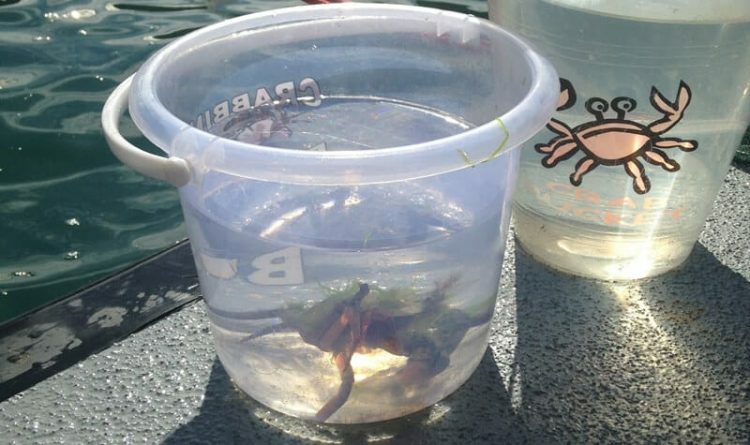 But before you get going, here is some essential advice and the top 5 mistakes to avoid when crabbing. 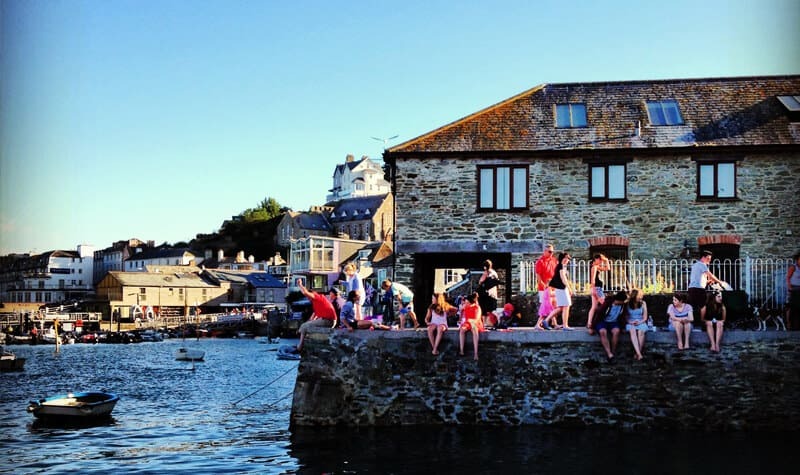 The key for success is location – we recommend dropping your line along Victoria Quay where there is a thick stoned wall to lean over and dangle your line for hours. Another option is just around the corner from the RNLI Lifeboat Station near to the Fortescue Inn. It is a very family friendly place but be aware that little ones should have a lifejacket on as there is nothing to stop them falling in as they eagerly crab away. These cunning crustaceans know when the tide is going out and will begin to bury themselves in the mud to avoid drying out/being eaten. Start your crabbing adventure just after the tide begins to rise again and you will catch many more. To catch a crab, all you need is a bit of bacon (preferably the rind) and a fishing line. We once overheard that the crabs in Salcombe have a highly developed palate preferring parma ham but that is yet to be proved! However, for the ultimate bait, try to get a fish head and if you can bear the smell, one that is a couple of days old. Crabs have an incredible sense of smell so the stinkier the better! Tinned sardines are a winner too. Trying to pick up a crab can be painful as their pincers give a nasty nip and they don’t like letting go. Hold the crab with your finger and thumb by the shell on each side – just behind the pincers. That way their pincers can’t reach round plus you won’t hurt the more delicate parts of the crab. Catching crabs is simple but requires patience! Your essential kit – a bucket filled with water ready to receive your catch, a net (for crabbing lines that come without a net already attached), a crabbing line and your bait. Tie on your bait, drop your line in the water and wait. We said WAIT! Give these Shore Crabs enough time to scuttle over your bait – about 5 minutes should be plenty. Then ever so gently, raise your line and start pulling it up the wall. Be careful not to pull too quickly or bash it against the wall. Using your net (if required) scoop up your catch and cheer as you pop it into the bucket of water! Even though it may look impressive, crabs don’t really like being overcrowded in a bucket so only put a few in at a time. Plus, if you can put the bucket in the shade that will help them as they aren’t particularly keen on sunbathing. After you’ve observed their quirky antics, carefully place them back into the water. They are not edible so please don’t try them on the barbecue; let them go back to their watery home. Great fun – my friends and I used to catch smelts from Victoria Quay too; you could fry and eat them! Shore crab bisque popular with French workers (esp in Dartmouth I was told some years back).